There is now a rapidly expanding need for senior care. By 2025, the population of seniors in the United States will be around 72 million in contrast to the 35 million in year 2000. This is why the outcome of a recent study on care-giving and aging should be of interest to everyone including the government. The study undertaken by a group of experts showed that in-home, non-medical, professional care received by seniors improved the quantity and quality of their lives and that of members of their families. One of the findings of the research was that home care role, in a area that was formerly dominated by more formal clinical care, proves very important. The study focused on seniors with more need for intensive care as well as those well advanced in age. Seniors with access to paid home care enjoyed more care than their colleagues without such privilege. In terms of visits to physicians, the former had fewer compared to the later without access to home care. Seniors with diseases like Alzheimer and other dementia (AOD) were better off with non-medical, in-home, paid home care according to the findings. The benefits of paid, in-home, non-medical care extended to seniors with Alzheimer’s disease and other dementia (AOD) were obvious. More significantly, family caregivers said seniors with paid home care made their task less demanding in contrast to the stress they had to pass through with those without paid, in-home care. Even caregivers in the workforce who are still part of those rendering home care felt helped by the financial mitigating sacrifices involve in the paid in-home care. It was discovered that 71 percent of those involved in family care-giving using home care where already employed while 51 percent were full time family caregivers. In the event of changing jobs to accommodate care-giving, those using home care find it easier maintaining their prior levels of income than those not involved in home care. 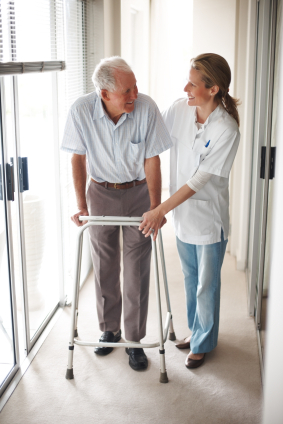 Being a growing component of the medical- care area, home care provided by skilled and trained workers benefits the home economy as well as the national economy. It improves the lives of those that receive the care, the family caregivers, and decreases the strain on the health system in the United States. In conclusion, the study revealed that when it comes to providing adequate care to seniors, in-home care has a positive and major role to play, as such, it is high time home care gets recognized as a vital part of the care initiative particularly when it comes to elder care.